Drawing from his extensive experience as a pastor and consultant, Tod Bolsinger brings decades of expertise in guiding churches and organizations through uncharted territory. He offers a combination of illuminating insights and practical tools to help you reimagine what effective leadership looks like in our rapidly changing world. If you're going to scale the mountains of ministry, you need to leave behind canoes and find new navigational tools. Now expanded with a study guide, this book will set you on the right course to lead with confidence and courage. "A superb book on the need for adaptive leadership in the twenty-first-century church. With imagination and insight formed through his experience as a pastor, church consultant and seminary leader, Tod Bolsinger challenges leaders in the Christian community to recognize the unsettling reality of being 'off the map.' We have 'trained for a world that is disappearing.' Bolsinger offers fresh, practical advice that integrates the best of leadership theory with the realities of church leadership, illustrated with vivid metaphors and real-world examples, resulting in a seminal book on how to navigate this new world. A must-read for everyone interested in church leadership." "Contemporary pastors and church leaders face a daunting challenge. The world and the church have changed dramatically. Congregational expectations have never been higher or more complex. How can we lead our churches with wisdom and kingdom impact in the ever-changing world of today and tomorrow? Tod Bolsinger answers this pressing question in his timely book Canoeing the Mountains. Combining solid biblical theology, contemporary leadership theory and years of experience as a pastor and church consultant, Bolsinger offers a new vision of pastoral leadership as well as dozens of practical examples that bring this vision to life. All pastors and church leaders need to read this book, for their own sake, for the good of their churches and for the advance of God's kingdom in the world." "Since the missional church discussion began to develop real momentum, the constant question has been how does this theological vision of the church after Christendom translate into the practice of real congregations struggling with enormous challenges? 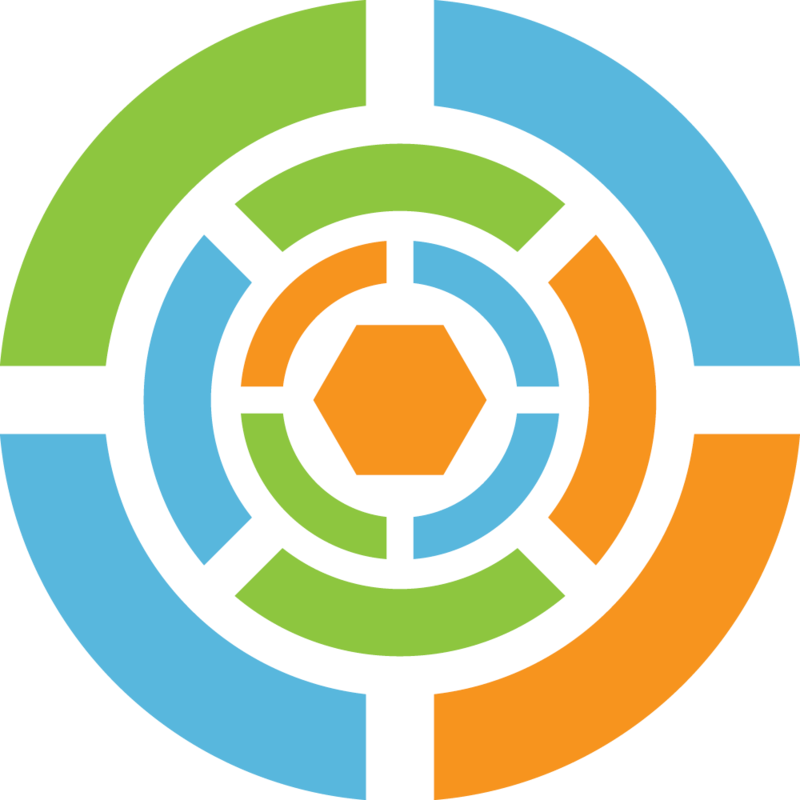 A great deal of excellent work has been done, and there are excellent resources for the community and leadership seriously committed to missional change. But Bolsinger's book is a major step forward. It is based on solid missional theology, rooted in concrete congregational experience, shaped by provocative research of many diverse voices and communicated energetically and creatively. Most importantly, it is shaped by theologically informed hope, not just optimism, and takes the risks that must be taken for the sake of faithful witness today. I strongly commend this book!" "As a committed practical theologian, Bolsinger blends the best insights from Scripture and leadership theory with an empathetic understanding of the most pressing questions of today's leaders. If you're like me, you're not only going to want to read this book, you're going to want to read it multiple times." "Combining the mind of a scholar, the heart of a pastor and the experience of a consultant, Tod Bolsinger is the rare leader who can also teach. Using the example of Lewis and Clark's Corps of Discovery, he also authentically shares from his own experience, both positive and negative, to make the most important concepts in organizational leadership accessible to pastors, nonprofit executives and Christians in the marketplace who are charged with giving leadership in a changing world. Canoeing the Mountains should be required reading in seminary classrooms and leadership seminars. I know it will be for the pastors and leaders we coach." "Canoeing the Mountains is a must-read for pastors and church leaders who want to understand the precarious religious landscape in America today. Seasoned pastor Tod Bolsinger draws on his experience as a church consultant and student of contemporary leadership theory in order to tackle the most pressing ministry leadership issues of our day. Employing Lewis and Clark's experience of exploring the Louisiana Purchase as a driving metaphor for the leadership that is needed in the church, Bolsinger issues a bold challenge to contemporary pastors to learn how to lead all over again. With refreshing honesty and vulnerability about his own ministry, Tod does not allow the reader to wallow in discouragement over the fact that the world in front of us is different than the world behind us. Instead, he insists that this time in history offers pastors and church leaders an unparalleled opportunity to discover a deeper capacity for leadership within ourselves than ever before. He issues a clarion call 'not to try harder, but to start a new adventure' by abandoning our 'canoes' to become risk-taking mountain climbers. I am going to recommend this book not only to the hundreds of pastors in the Macedonian Ministry program, but also to church leaders across the country. Canoeing the Mountains gave me hope for the future of the church of Jesus Christ. I pray that it will do the same for you!" "Do not canoe another stroke or portage another step without Canoeing the Mountains in hand. In today's post-Christian world, we are navigating uncharted waters where our churches demand innovation at every turn. How do we lead for transformation when the world is transforming even faster? For anyone committed to and dazed by the changing realities of today's church, Tod Bolsinger offers a needed vision." "I see many pastors and leaders of churches who are exhausted by the daunting task of leading churches in a culture that is changing faster than it ever has before. There are many books that tell us we need to change, and there are also many books that give a vision of what a new kind of church could look like. There are very few that address the difficult task of helping leaders navigate the complexities of leading that is necessary for a changing world. Tod Bolsinger's Canoeing the Mountains provides the right mixture of theological insight, leadership theory and relevant stories that will give the necessary principles to help leaders face unfamiliar terrain." "There are lots of books these days on leadership, but this one shines because of the author's ability to pull together the many threads of leadership literature. In a most winsome and engaging way, Tod Bolsinger weaves together the best of current leadership research—adaptive change, systems theory, organizational transformation—with the real-life challenges of a pastor/practitioner who has spent years trying to put all this together in a congregation while still preaching Sunday by Sunday and doing funerals on Monday. Tod has lived this book out in denominational circles and as a coach to other pastors trying to bring change within a congregation. Like a master storyteller, Tod also weaves in the story of Lewis and Clark as a historical parable of the change and challenge in which we find ourselves today in the church. This is a book that you simply must read!" "Given our ever-changing, complex and demanding world, all leaders will benefit from Canoeing the Mountains. From his personal experience as an accomplished pastor, executive coach and organizational leader, Tod Bolsinger provides powerful frameworks and tools that will inspire and empower twenty-first century pastors and church leaders to maximize their impact on their congregations and in the world." "When I first heard Tod share his insights about questions that keep leaders up at night, I was hooked. Lewis and Clark prepared for river canoeing and then suddenly faced a literal and insurmountable mountain range that threatened their mission. We read headlines every month about some established company confronted with extinction. They were unprepared to adapt and climb. The lessons in Tod's book may be based in history but are so timely and relevant for today. Facing unpredictable and confounding unknowns defines this era of leadership. Tod's book is one I am recommending to my clients. It's a map for navigating the future that I have made part of my practice." 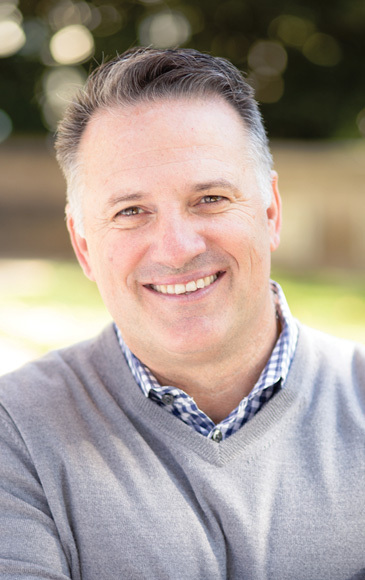 "When Fuller Seminary decided to launch out in our own uncharted terrain, we called on Tod Bolsinger to join our leadership team. When you read Canoeing the Mountains, you'll immediately understand why. Bolsinger brings a scholar's mind, a pastor's heart and a wealth of leadership and consulting experience to the task. His ability to translate the most important organizational leadership material into the day-to-day challenges of the Christian leader is without peer. His vulnerability and authenticity resonates as he shares his own leadership learning journey. This is the leadership book the church needs today." "How does the pastor trained in the twentieth century connect the Word of God to the society of the twenty-first century in the face of the dramatic societal changes of the last few decades? Tod Bolsinger brilliantly creates tools for the pastor who works in these uncharted areas. Drawing on the historic Lewis and Clark, he shows the way to navigate a world that is not on any map. Along the way this wisdom spills over into meaning and insight for any leader in business, education or politics. This is an important new resource. Every pastor and leader should read it carefully." "Ministry in post-Christendom is indeed uncharted territory. For so many pastors and leaders, this is a time of uncertainty, the unknown and displacement in finding a way forward. 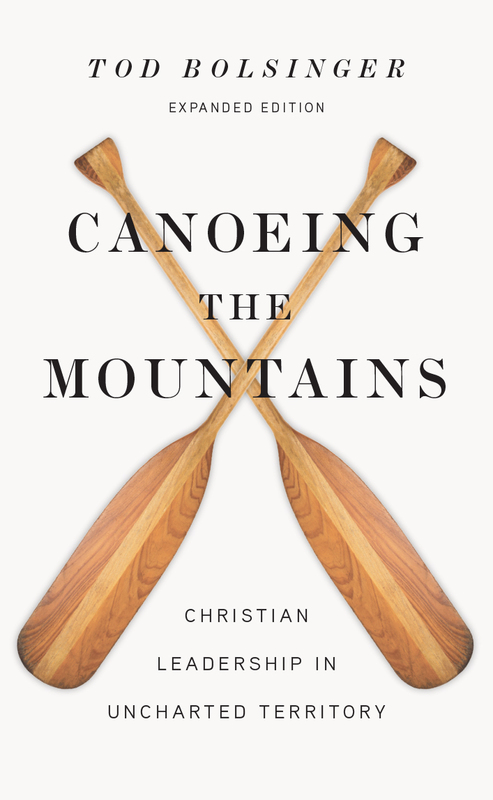 In Canoeing the Mountains, Tod Bolsinger cleverly solicits imagery and vocabulary that today's pastors and leaders can cling to as they begin to truly climb the mountain of adaptive change necessary to transform churches to better health. 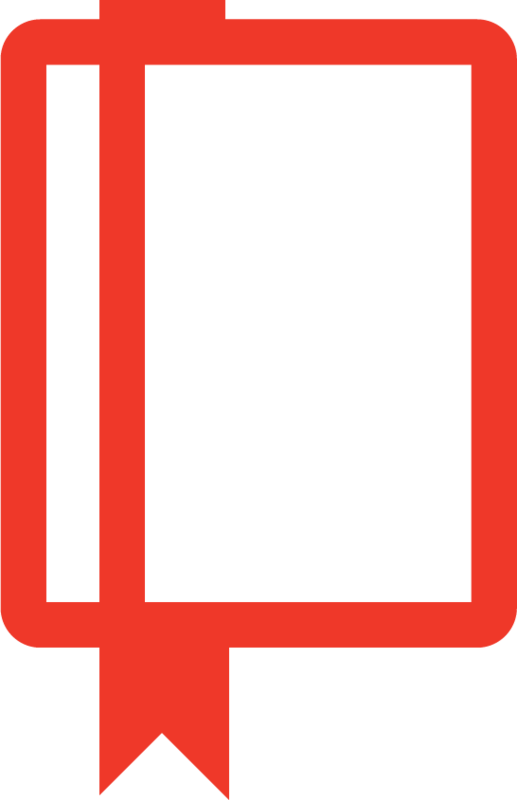 While there are many books about adaptive change, the process takes years to grasp and understand. Tod's retelling of the story of Lewis and Clark provides concrete stepping stones to a fluid journey and repackages these concepts in a way that is digestible, inspiring and thought provoking. I will use this book with my own congregation as we continue to canoe the mountains of adaptive change." "Tod Bolsinger, a colleague of mine at Fuller Seminary . . . uses the metaphor of 'canoeing the mountains' based on the experience of Lewis and Clark, who successfully completed the mission of the Corps of Discovery because of their ability to lead creatively in light of unexpected circumstances. . . . Whether you're a pastor, a small business owner, a branch manager, or a CEO of a major company, you are probably facing challenges not unlike those confronting . . . Meriwether Lewis and William Clark. If so, I encourage you to get a copy of Canoeing the Mountains. You and those you lead will be glad you did." "Unlike leadership books from the business world, Canoeing the Mountains is written by a churchman for church people. He understands the unique pressures and complexity of relationships that exist in a local church. Instead of giving a 'one-size-fits-all' solution, Bolsinger provides guiding principles for doing church in this new era. . . . The book left me hopeful and eager for the adventure ahead." "This is my leadership resource of the year for clergy. Pastors have heard the terminology about leadership in the postmodern world: 'trust,' 'DNA,' 'alignment,' 'passion,' 'team,' 'credibility,' 'adaptability,' etc. But Tod Bolsinger brings clarity and practicality as never before. He goes beyond skillsets to explain the interconnection of technical competence, adaptive capacity and relational congruence. The chapters on relationships and resistance and personal stress and change are especially helpful. There are nuggets of insight throughout that are like trace samples leading to the mother lode of leadership transformation. You may have heard it before, but in this book you will finally get it!" 7. Navigating the "Geography of Reality"
Tod Bolsinger (PhD, Fuller Theological Seminary) is the vice president for vocation and formation and assistant professor of practical theology at Fuller Theological Seminary. He is the author of It Takes a Church to Raise a Christian: How the Community of God Transforms Lives and Show Time: Living Down Hypocrisy by Living Out the Faith. A frequent speaker, consultant, and blogger, he serves as an executive coach for corporate, nonprofit, educational, and church organizations in transformational leadership. For seventeen years, he was the senior pastor of San Clemente Presbyterian Church in San Clemente, California, after serving for ten years at First Presbyterian Church of Hollywood. Tod and his wife, Beth, have two children.